(New Yorkers - we are a 20 minute bus ride from Port Authority in Manhattan. ​Lee Van Zyl is available for private sessions and classes. Situated in Rutherford, NJ, the Montclair Psychic School has become wildly successful and renowned for its accelerated development courses and ongoing professional development of students as psychics, mediums and healers. These courses have been supported and attended by medical doctors, psychotherapists, business people, law enforcement, fire fighters & lawyers. Our students are from all walks of life and from all over the world and is conveniently located 20 minutes from Manhattan. Lee has trained at the Woodlands Sanctuary Foundation in Australia, New Zealand, Lily Dale, NY and The Arthur Findlay College in the UK. She is an international teaching medium and healer. The basis of her teaching is one of mentorship training. 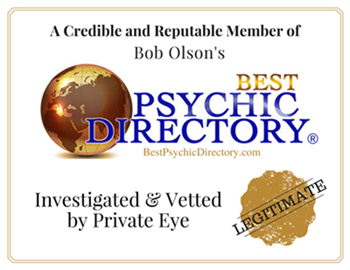 Many working mediums, psychics, healers and metaphysical teachers started out with Lee and still have an ongoing relationship with the school as tutors and offering professional services. More recently, Lee has been tested and certified the LW-ISSD at Lily Dale, NY. We look forward to meeting you, working with you and developing you. Our goal is to allow you to reach your true potential! Thank you for letting us accompany you on this part of your journey. Thank you Lee for all of your help during the Reiki 1 & 2 Training & Certification. It was exactly what I was looking for with lots of practical steps and tools.♥ Many Blessings! I loved the class. I feel very clear and light. If feel that i gained a tremendous amount of knowledge.